Welcome to the first installment of our “Stuff Page.” We’re not sure how this is going to evolve, but our intention is to put something here regularly (every month?). It will be fairly free form, but hopefully there will be something to learn that is of interest for every visitor. We expect topics to range from blog-like Coyotes facts and rambling ideas, to snippets of music theory and general musical facts, and likely some totally random STUFF. Who knows… STAY TUNED! 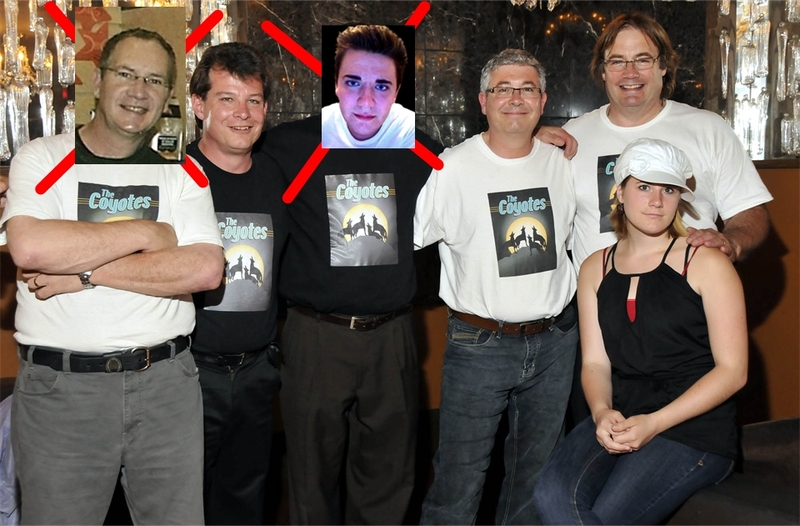 As anyone who has seen us knows, we in The Coyotes are a very guitar oriented group of fellows. Though we have some smatterings of electric guitar, and some limited effects, we are generally oriented towards the acoustic end of the acoustic-electric spectrum of sounds. This being said, I thought that this month we would offer a brief overview of the history of the guitar. To re-iterate: this is brief, and it is an overview. Usually consists of a hollow box with a sound board (main vibrating surface) on the front. The exception to this, of course, is the solid body electric guitar, which was once argued to not actually be a guitar because of this. This sound box usually takes the form of an hour glass shape to accommodate ease of hand holding such an instrument as these instruments evolved into larger ones over time. Strings resting on a bridge/saddle combination that transfers vibration directly from the strings to the sound board. Strings passing over a long fretted neck that extends away from the sound board. This distinguishes the guitar and guitar-like instruments from the zither family of instruments (dulcimer, autoharp, piano, etc.) which have strings only extending over the sound board. There is so much more to learn about the guitar’s history and the huge number of variants of this most universal of modern instruments, and I have skipped over most of them here. The following is a short chronological overview of some of the guitar types as they developed from the 13th century to the present. There is some discussion about ancient Egyptian guitars-like instruments, but most historians no longer make a connection between these early stringed instruments and the modern guitar. There is some agreement about the guitar evolving from a collection of instruments in central Asia with names ending in “tar”, meaning string in ancient Sanskrit. The “chatur” (“chartar” in modern Persian) seems to be the prototype of the “quitarra”, an early Spanish guitar with 4 “courses” (pairs of strings tuned in unison). The lute is sometimes thought to be a precursor or large influence on the development of the guitar, but now it is thought that they developed separately, with both instruments being influenced by the design of the “oud”, a fretless lute-like instrument brought to Spain by the Moors. The vihuela grew to became popular in Spain (it was known as the viola da mana in Italy) throughout the 14th and 15th century and would be clearly recognized today as a guitar. You can hear a vihuela being played here. Around 1850, Antonio Torres altered the shape of the guitar and introduced the “fan” top bracing, and set the standard for the construction of the modern “classical” guitar. Around the same time, in the 1840s C.F. Martin and others like Schmidt & Maul started using “X-bracing” in the tops of their guitars. Steel strings started to become readily available around 1900 and were attractive because of the much higher volume that could be had. Though very efficient in supporting the sonic vibrations in the sound boards of the Torres styled guitars, the fan bracing did not provide enough strength for the increased tension induced by the steel strings. A stronger X-brace was up to the task and became the standard for steel-string guitars. 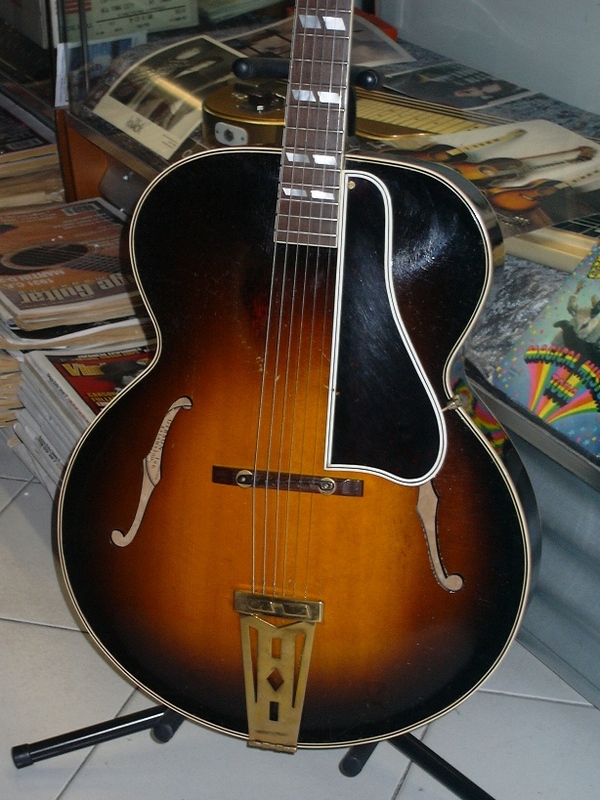 In the first few decades of the new century, Gibson introduced the world to archtop guitars which featured a construction similar to cellos and violins. In addition to the convex shaped arched top, these guitars featured “f” holes and a floating bridge. This style set the standard for the “jazz” guitar. 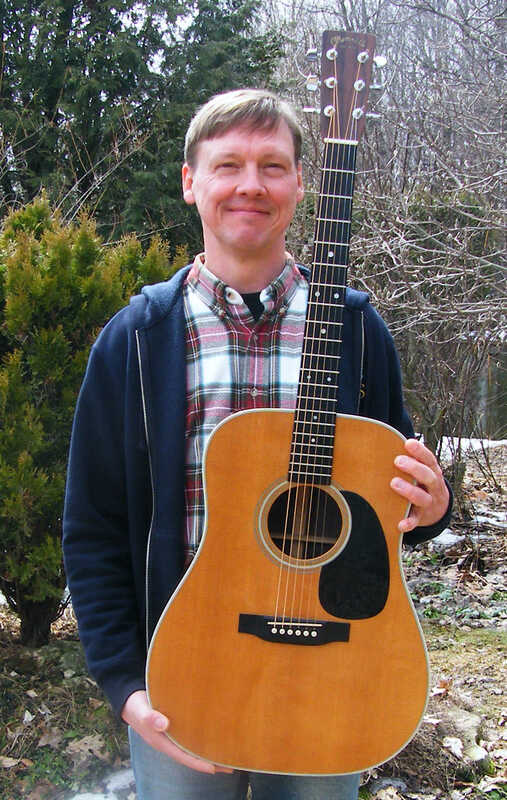 In 1916, Martin came up with the “Dreadnaught” sized guitar. They were not well received and were soon dropped, and then reintroduced in 1931. The most famous of the Martin Dreadnaughts is of course the D-28. Introduced in 1934 it gained widespread adoption with country players. The large body of the Dreadnaught in addition to producing a higher volume, introduced a “booming” bass response unknown to guitars until then. 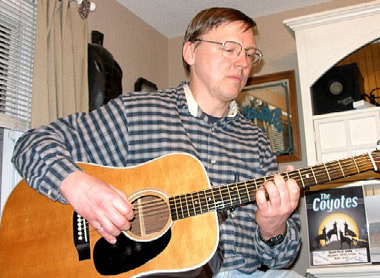 Since the introduction of the D-28, the dreadnaught size and style has become common in the catalogues of most of the big acoustic guitar manufacturers, at least in North America. The 20th century also saw the introduction of electronic amplification to guitars. Starting with pickups on “Hawaiian” steel guitars in the 1930s, and leading to the eventual development of the solid body electrics by Fender and Gibson in the late 1940s and early 1950s. There are so many cool guitars out there now, each with their own connection to the roots laid down by the spotty history presented here, and shaped by so many other influences from the distant past and the present. So many guitars… so little time… <sigh>. 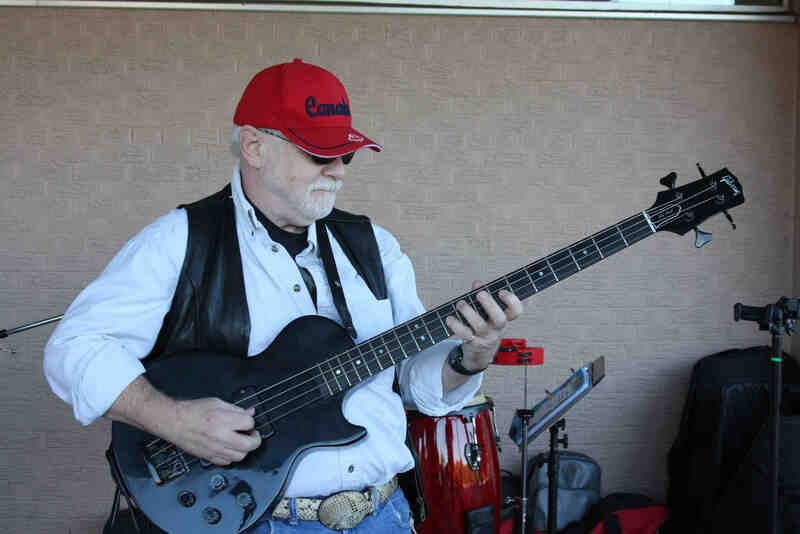 Paul Snelgrove is a talented Aurora songwriter, guitar player, bass player, and generally all around nice guy… We have had the good fortune to have him sit in with The Coyotes for a few gigs, seamlessly adding his bass magic to The Coyotes' sound. His regular band is The Dustaleros where he plays bass and sings backup. He is often seen performing around the Aurora area, and walking his dog… but usually not simultaneously. Burke and Mark will be joined by Jim DeVries, Braedon Garret, Wayne Nichols with Amelia DeVries working sound to entertain and raise funds for cancer research. $5 cover with proceeds going to cancer research. Comments, suggestions for future topics, and feedback are always welcome.